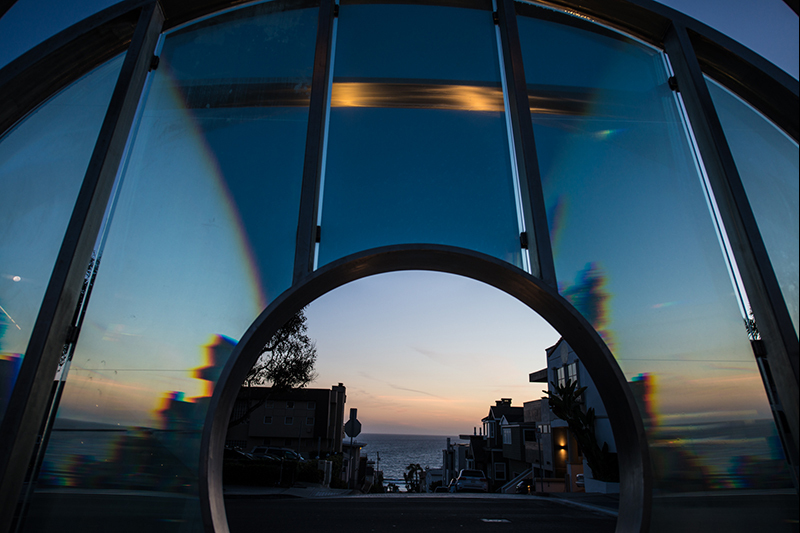 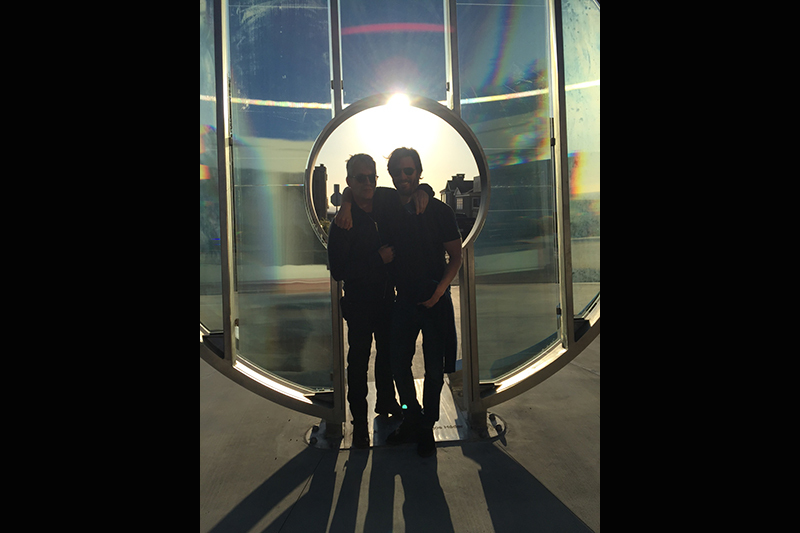 Light Gate has become an iconic photo taking spot in Manhattan Beach. 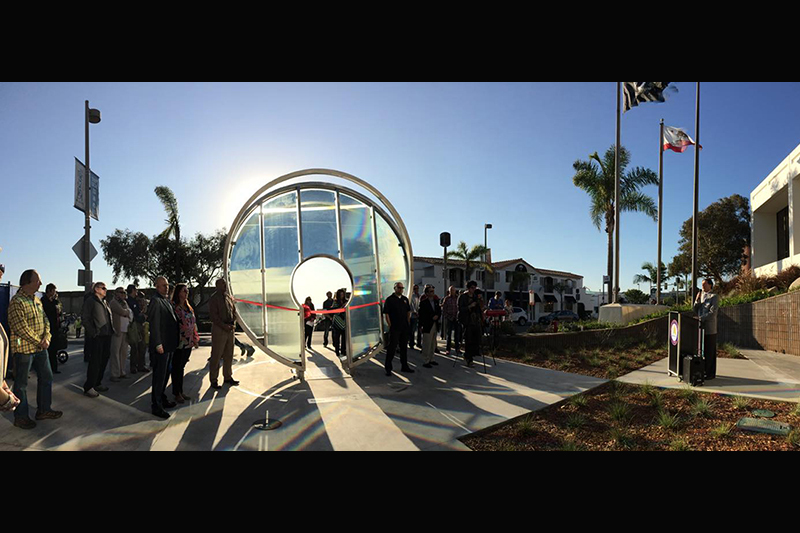 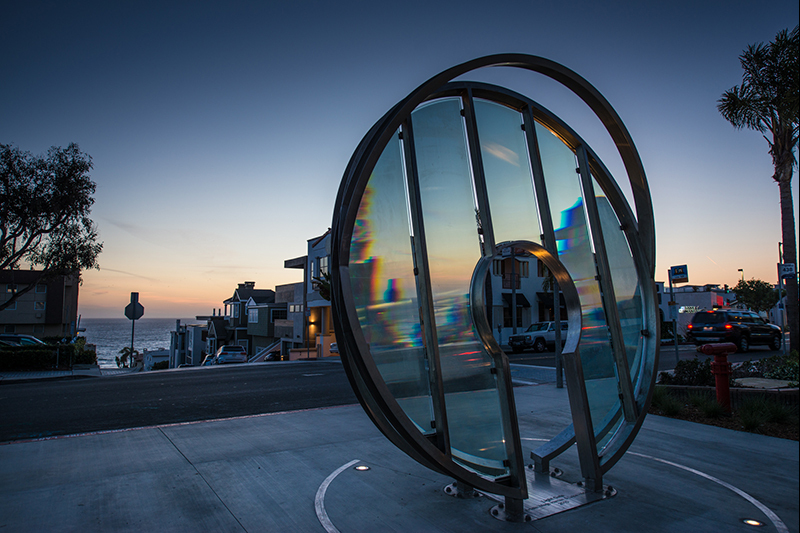 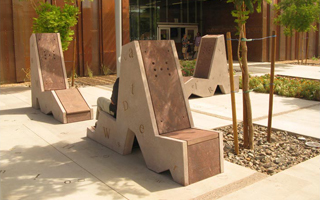 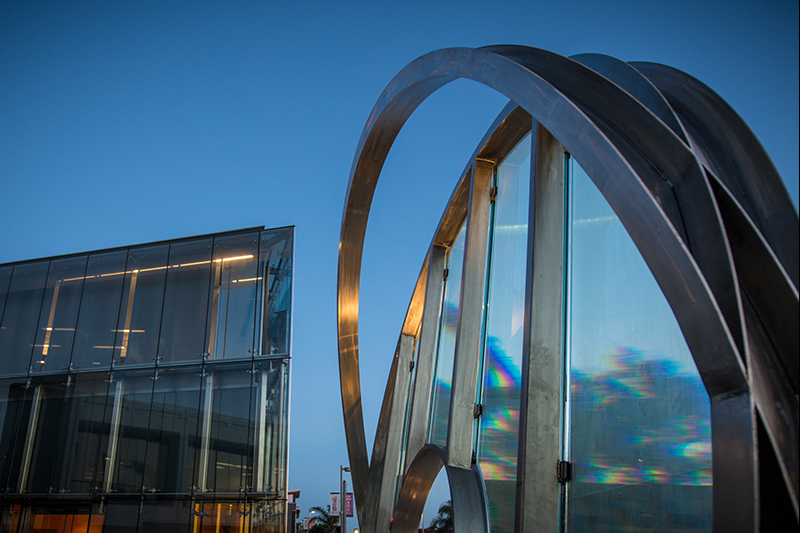 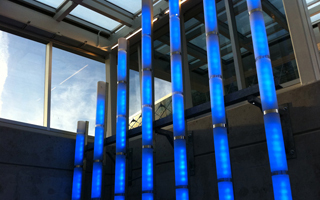 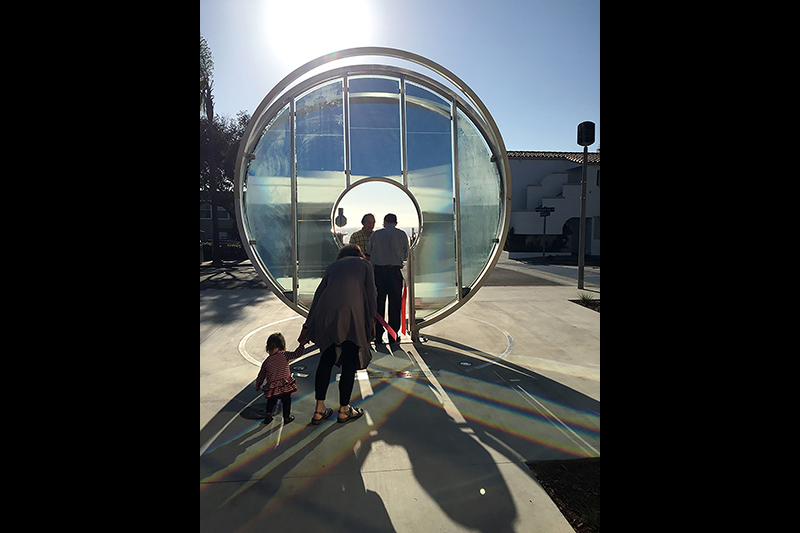 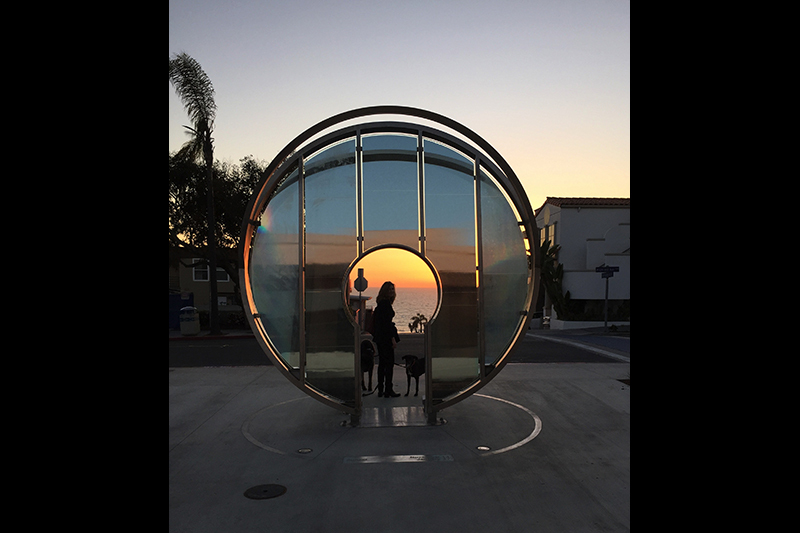 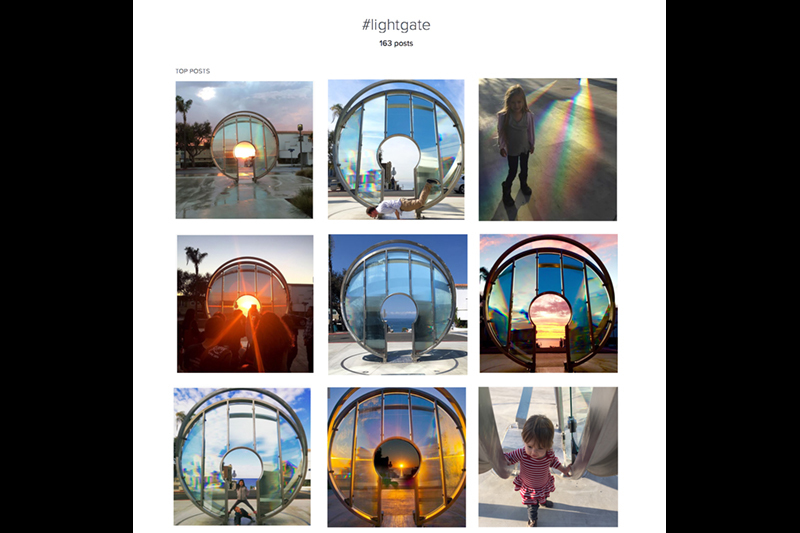 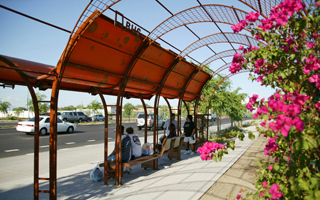 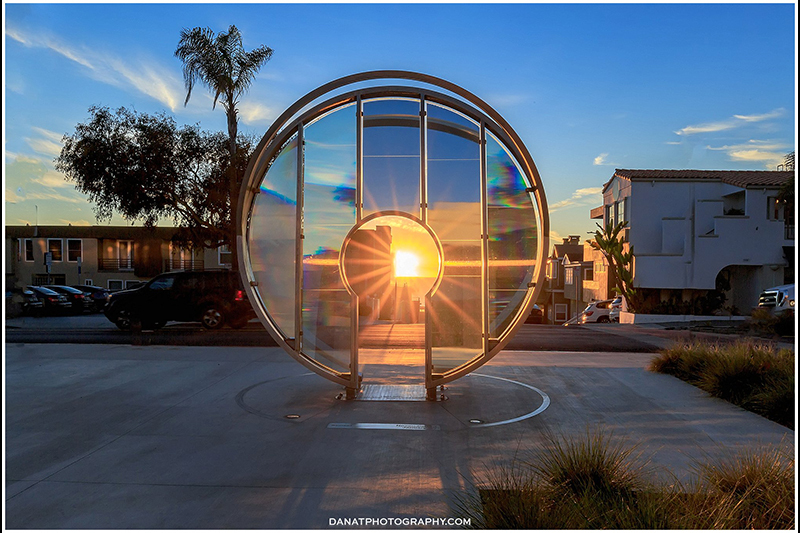 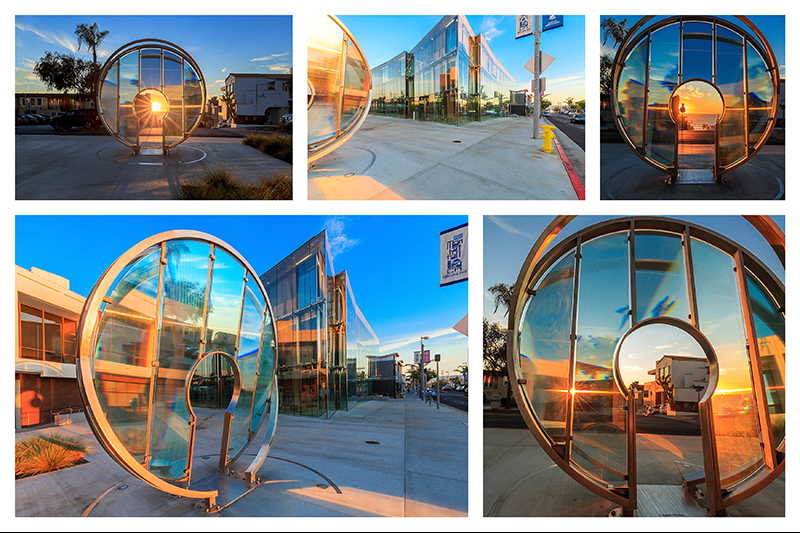 Light Gate is located at the top of 14th Street on Highland Avenue in the Plaza in front of the Manhattan Beach City Hall and the new Library. 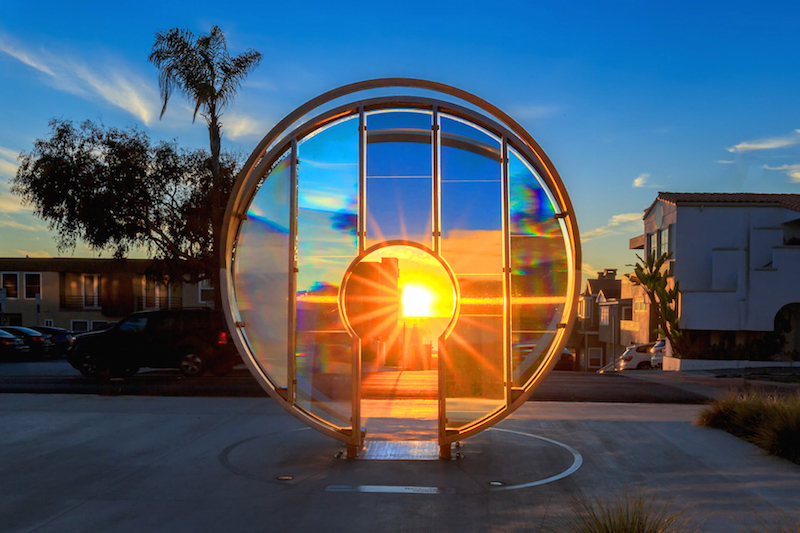 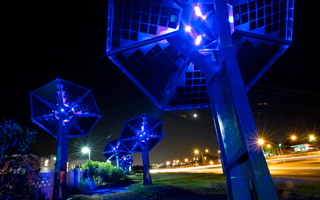 The piece is made of glass laminated with prismatic lighting film that creates rich and varied light effects with the sun. 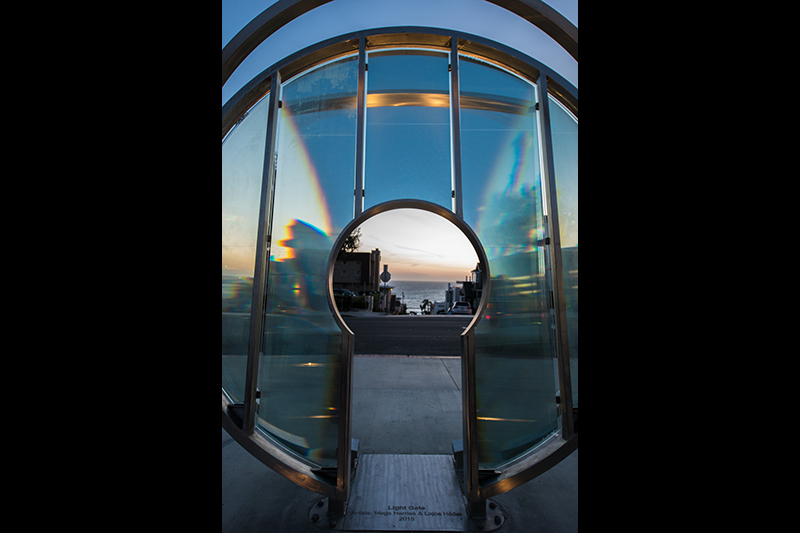 Light Gate focuses the view through an opening down 14th Street to the Pacific Ocean. 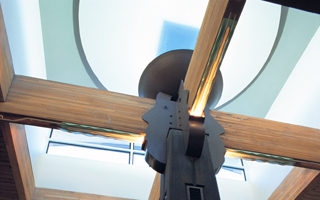 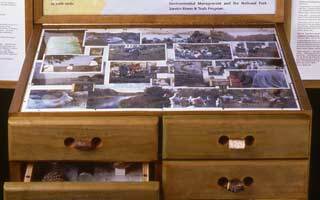 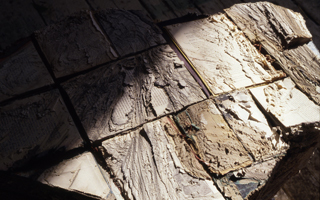 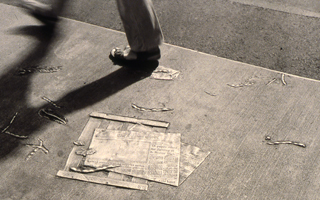 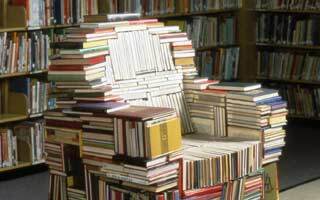 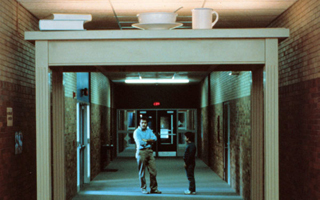 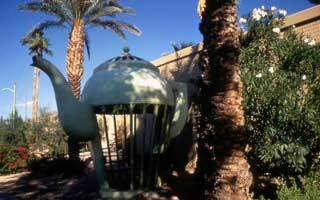 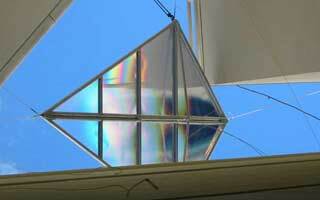 It is a place of constantly shifting light and view, more than a solid object. 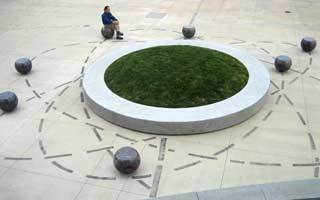 It puts the visitor in the center of this important nexus. 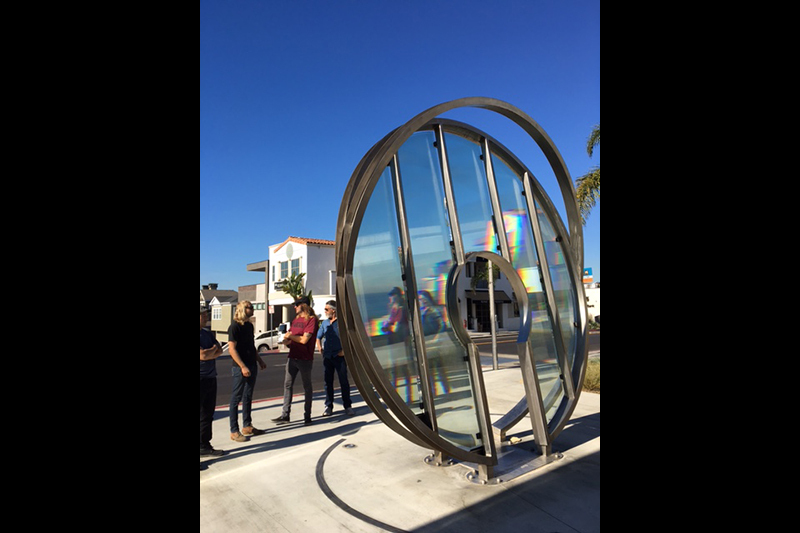 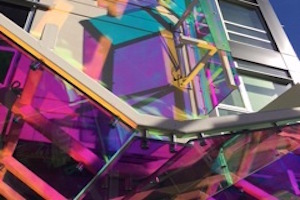 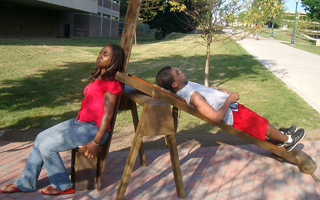 As you move around the sculpture, it shifts unexpectedly from transparency, to prismatic refraction, to mirror reflection. 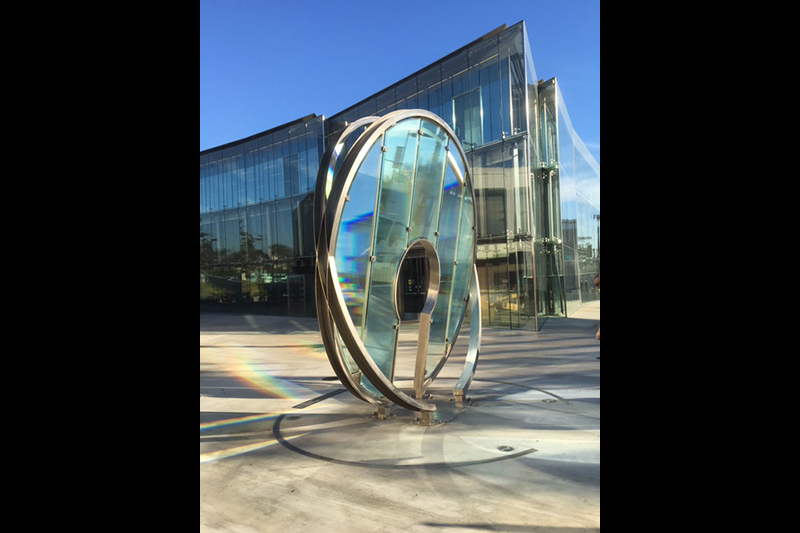 The glass and steel construction playing with the sunlight harmonize with the crystalline glass architecture of the new Library.